In a Money Morning exclusive interview with legendary investor Jim Rogers, Chief Investment Strategist Keith Fitz-Gerald spoke with Rogers about his recent bullishness in a once controversial market: Russia. "I am very optimistic about Russia," said Rogers. But as Rogers admits, he wasn't always this way. "I went to Russia in 1966, and I came away saying, 'This will never work'," said Rogers. "For the next 48 or 49 years, I was pessimistic about Russia and the Soviet Union." But now, "I have investments there, stocks, bonds, and currency," said Rogers. 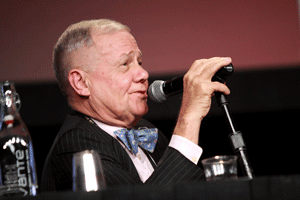 Jim Rogers: "Nobody Likes Russia Except for Russia"